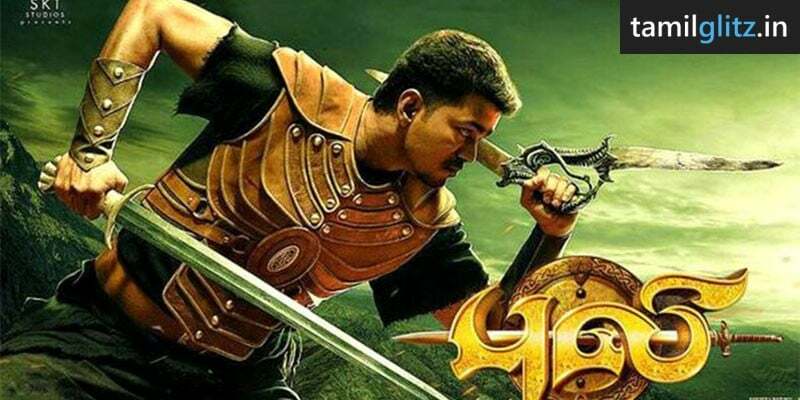 Puli Movie Review: Actor Vijay’s Puli Movie hit Movie Screens WorldWide on October 1. Puli received very good ratings and reviews from WorldWide Audience and Movie Critics. Puli Movie is a Tamil fantasy movie directed by Chimbu Devan starring Vijay, Shruti Hassan, Hansika and Sridevi, Music Composed by Devi Sri Prasad. Cinematography by Natraj and Editing by Sreekar Prasad. The Movie was produced by SKT- Productions. Puli got one of the biggest openings for Vijay, hitting 3000 screens worldwide. The first day Collection is estimated at around 25 crores. To keep it simple, Vijay takes on a mission against the Rulers of the land on the journey to save his lady love. Vijay is 41 but his dance moves in the opening song “Puli Puli” is really fantastic. He got a good youth look all over the movie. Regarding the Songs, Jingiliya was known for its celebratory work while Yaendi Yaendi Song has got a very good chemistry between Vijay and Shruthi Hassan. Shruti Hassan looks glamorous while Princess Hansika looks gorgeous in the Movie. When Superstars pick such new scripts, there are lots of good things that can happen to cinema. Applause to Vijay for that. All the hardwork done to shoot the movie is visible in every minute of the Movie. Don’t expect it to be a fast one, Its a pretty relaxed slow movie and good for Family Audience too. Family Audience really enjoyed the Movie. What about emotion-less wooden face of Vijay? ?